Service is available Monday-Friday 5:30am-6:00pm. Persons desiring to ride CARTS Monday through Friday must call at least 24 hours in advance. Our demand is heavy so please plan your trips in advance. 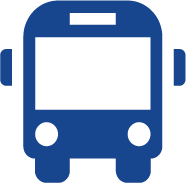 The Community Action Rural Transit System enables county residents to have access to health care, school, shopping, employment, public services, and recreational opportunities. Senior citizens age 65 and over and persons with disabilities are eligible to ride for half fare rates with approved application. CARTS provides daily demand transit services throughout the county. Saturday service is provided in Salem, Columbiana, Wellsville and East Liverpool from 8:30 AM to 4 PM. For Salem/Columbiana Service on Saturdays only, call 330-831-3070. For East Liverpool/Wellsville Service on Saturdays only, call 330-831-0479. Senior citizens aged 65 and over and persons with disabilities ride for half fare rates with approved application. CARTS provides daily demand transit services throughout the county. CARTS is available for anyone in need of transportation. Wheelchair accessible vehicles comprise 99% of our fleet.